The ride from Oventic to San Juan Chamula was quite bizarre. There was no taxi coming up there and we found a guy who offered to give us a ride for free but that afterwards pretended to be paid like a taxi. He even got quite aggressive and I am glad I was with three macho men, which unfortunately didn’t really understood what he was saying in his thick Spanish. It was probably the first time I felt a little bit nervous and uncomfortable in that area. 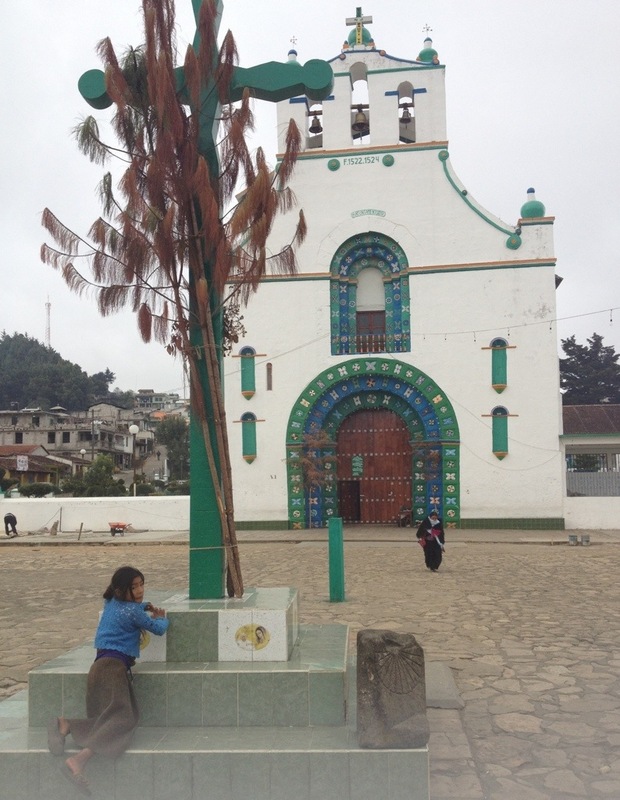 We arrived to this peculiar small town inhabited by indigenous Tzotzil Maya people. 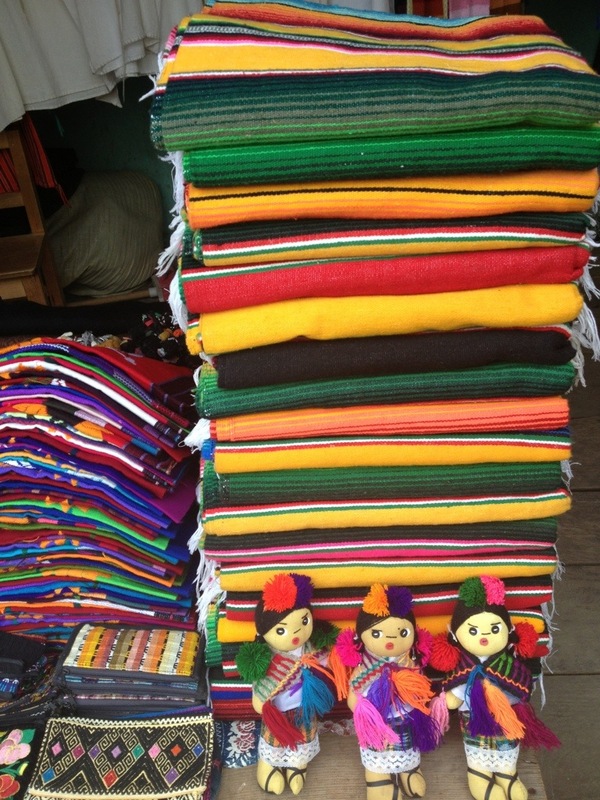 We walked to the church crossing a street full of handcrafts shops, especially blankets and clothing; I bought a lovely chiapaneca belt with brown leather and colored textile, and as I was a little bit hungry I had and a corn on the cob at one of the many vendors of this popular product. 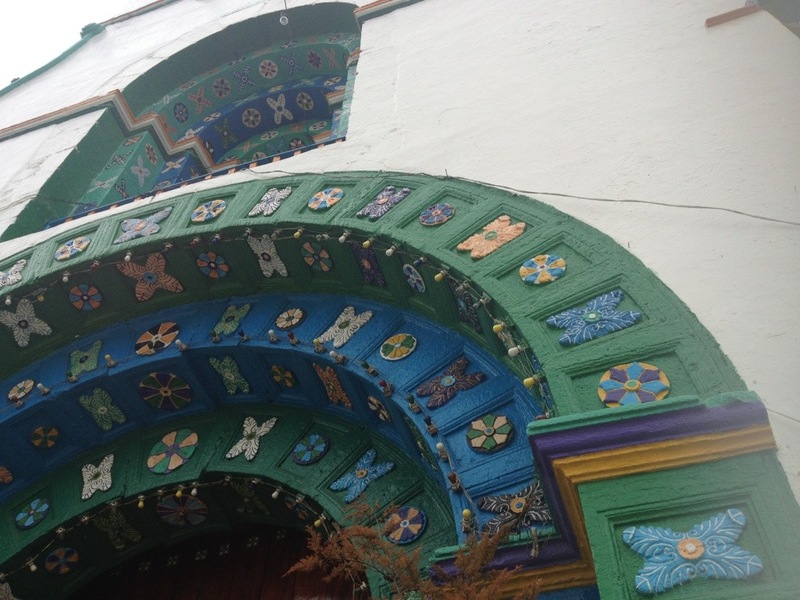 The entrance of the white church was beautiful, a big antique wooden door with blue and green decorations all around a wide arch. A seven years old kid charged us a 20 pesos admission while he was doing his homework. His book was nearly bigger than himself. We already knew this town was more strict than usual towards photographers. A man outside warned us not to take any pictures otherwise we would be fined with 8000 pesos and 72 hours in jail. 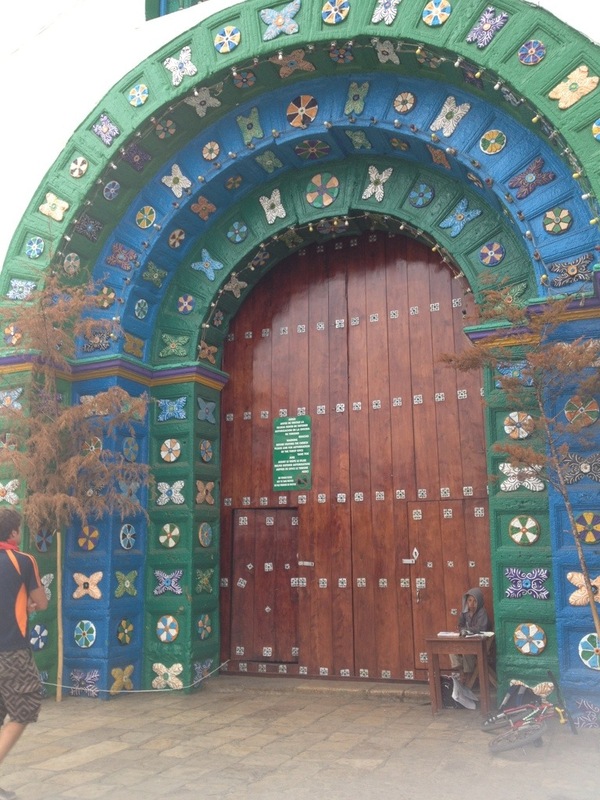 San Juan Chamula belongs to a different type of Catholic called “Word of God” Catholics. These would shun the “traditionalist” Catholic practice mixed with indigenous rituals and beliefs, a perfect kind of religious syncretism. Inside the church there are hundreds of Saints statues with the peculiar detail of having a mirror hanged on their neck as a pagan symbol to deflect devil. There are no chairs nor benches, the ground is covered by pine needles, straw and thousand of colorful candles; people lay in front of their favorite saint surrounded by eggs and soda bottles, apparently because it would help to burp and get rid of the bad energies, as per a Mayan tradition. 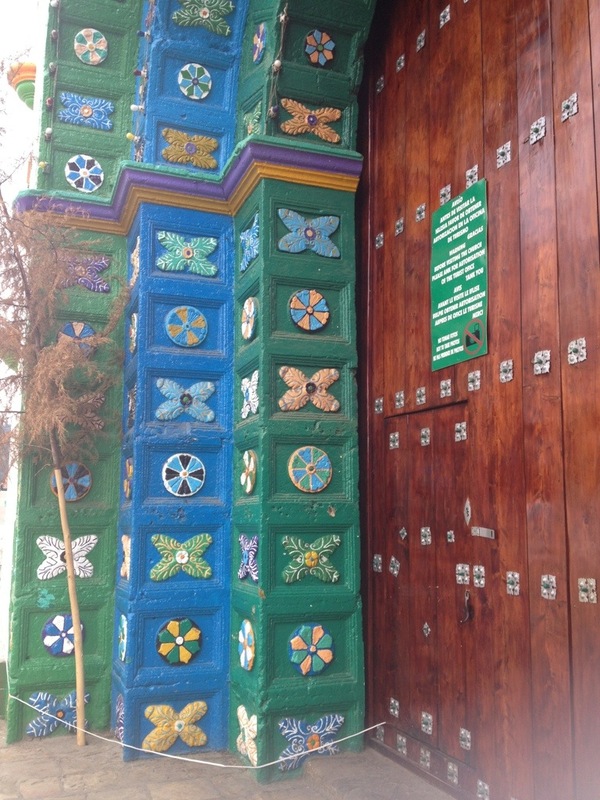 Most of the people who come to this church come here to ask to be cured themselves or ask for some beloved to be cured, singing incomprehensible archaic tzotzil chants. Sometimes you can see some Curanderos, a kind of shamans that are supposed to help curing sacrificing even chickens. 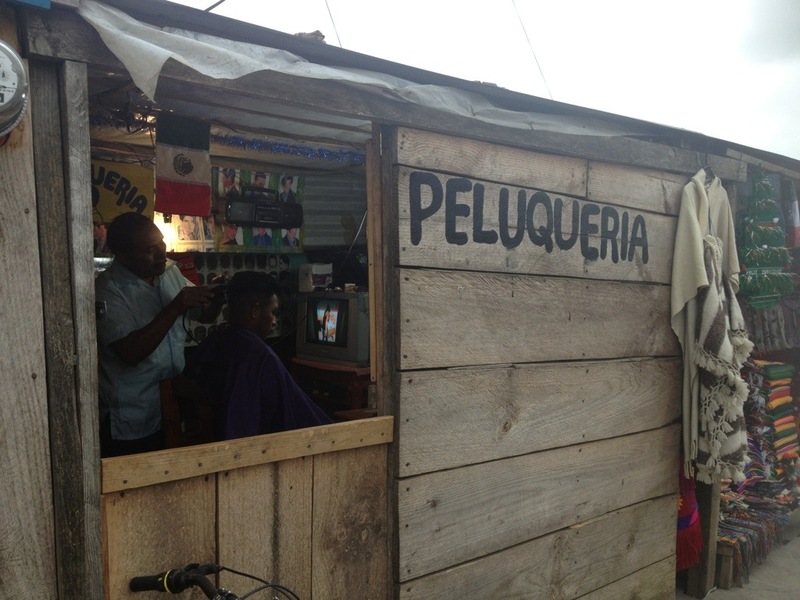 I loved this place because I had never seen something similar, the atmosphere was unique, and you can’t miss a visit there when in Chiapas.